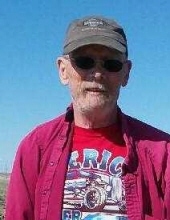 Michael Dammen, 62 of Great Falls passed away on January 31, 2019. O’Connor Funeral Home is handling the arrangements. Visitation will take place at O’Connor Funeral Home on Friday, February 8, 2019 from 9:00 a.m. to 12:30 p.m. The graveside service will take place at Manchester Cemetery at 2:00 p.m. on Friday, February 8, 2019. Michael was a quiet man of many talents. He was a cabinet maker/woodworker, a welder/fabricator and most of all he loved his cars and rebuilt them to perfection – 4/80 and top down. Michael is survived by his brother, Mark Dammen of Ulm; sister Sheila (Oscar) Allestad of Missoula; aunt Lillian Pesek of Great Falls; uncle Dennis (Diane) Dammen of Power; and numerous cousins and friends. Michael is preceded in death by his parents, Stan and Lori Dammen. Michael is at peace and pain-free now. To plant a tree in memory of Michael Dammen, please visit our Tribute Store. "Email Address" would like to share the life celebration of Michael Dammen. Click on the "link" to go to share a favorite memory or leave a condolence message for the family.